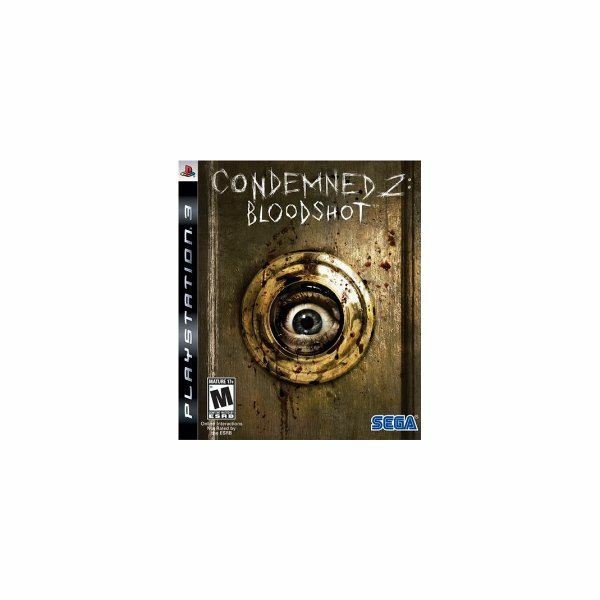 Condemned 2: Bloodshot is a very weird first-person fighting game with a lot of supernatural elements. I never played the original Condemned, so I’m not familiar with the story or how much this game differs from the original. I found a used copy of this game at my local GameStop for just $17.99. The premise of this game is that you play a special agent named Ethan Thomas, and you have an odd sort of connection with a supernatural underworld that seems to exist secretly among us in the real world. To be honest, I didn’t really get the story all that well, other than to know that the missions involved me killing lots of stuff. In many ways, it’s a chase game. I will give the developer’s credit for creating a genuinely creepy atmosphere for playing the game, but at the same time I didn’t think it made a whole lot of sense. Perhaps I’d understand better if I had played the first Condemned. As far as what you do in the game, it basically involves exploring locations and fighting your way out. The level designs are very linear and there is little room for exploration, though you will find a few little bonuses if you search around. For the most part, there is only one path that will take you toward finishing a mission, so how much time you spend on getting there is up to you. I would sometimes enjoy getting to explore, while in other missions I wanted to just get them over with. If you have your PS3 online, you can play this game in multiplayer arenas with other real life players. This can be more fun than any one mission in the single player game, but it’s just more of the same first person combat. I had no trouble finding other people to play online. What makes this game such an oddity is the control and combat system, because it’s basically a first person hand-to-hand fighting game. This means whenever you are in combat, the opponent is standing toe to toe with you, and the action can be dizzying to watch on screen. I kept finding myself scrambling just to see what was going on, and I think this added a level of difficulty to the combat that took a lot of fun out of the game. I thought the first person perspective didn’t fit the type of gameplay they were going for, and it really brought down the game. You do sometimes get guns and other ranged weapons, but not often. The overall presentation of this game is very dark, so much that it is hard to see what’s going on in some parts. I know this adds to the scary look of the game, but sometimes it goes too far when I can’t even see what is attacking me. From a graphics standpoint, this one does look pretty good and employs some very scary faces on the attackers, but the dark environments get old after a while. I also found the frenzied first person combat to be a bit dizzying in how they would sometimes switch between slow and regular motion in mid-fight. In the end, I commend Condemned 2: Bloodshot for its originality, but at the same time I think its attempts at being original ended up making the game less fun. I bought it expecting a horror combat game and instead got a creepy first-person fighting game that gave me headaches.